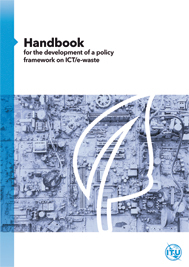 This Handbook provides guidance on the key aspects to be taken into account when designing, implementing and improving a legal, regulatory and policy framework on ICT/e-waste. The proposed framework is intended to facilitate the management of ICT/e-waste based on the concepts of sustainable development, green ICT and the circular economy. Freely available for download in various forrmats, as noted below. "The Connect Americas Summit builds on the success of three such preceding events: Connect Africa 2007, Connect CIS 2009, and Connect Arab 2012. The Summit which is organized by the International Telecommunication Union and is hosted by the Government of the Republic of Panama was preceded by two preparatory meetings that were held in Trinidad and Tobago, in March 2012, and in Mexico City, Mexico, in April 2012. 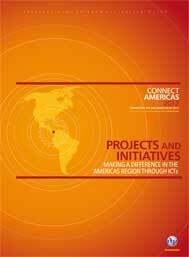 This report focuses on the five Regional Initiatives for the Americas region which are Emergency Telecommunications, Digital Broadcasting, Broadband, Reduction of Internet Access Costs and Human Capacity Building on ICTs." 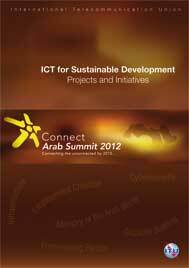 "The Connect Arab Summit builds on the success of two such preceding events: Connect Africa 2007 and Connect CIS 2009. The Summit which is organized by the International Telecommunication Union in partnership with the League of Arab States (LAS), and is hosted by Qatar's Supreme Council of Information and Communication Technology, ICTQatar, comes at an opportune time. 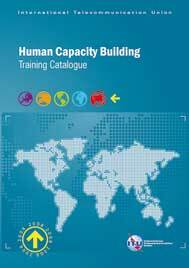 First, the fifth World Telecommunication Development Conference (WTDC-10) of the International Telecommunication Union (ITU) which was held from 24 May to 4 June 2010 in Hyderabad, India adopted the Hyderabad Action Plan. The Action Plan adopted five Arab States Regional Initiatives which are intended to address specific telecommunication/ information and communication technology (ICT) priority areas, through partnerships and resource mobilization to implement small, medium and large scale projects. These prioirity areas are Broadband Access Networks, Digital Broadcasting, Open-Source Software, Arab Digital Content and Cybersecurity. " 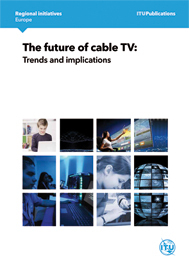 This report was developed by ITU, with support from its membership, and other ICT stakeholders and considers the wider context of ICT convergence of industries and technologies and the impact on cable TV, including insight into major trends, market dynamics, advances in virtual and augmented reality, multi-service and multi-platform TV, and ultra high definition TV. 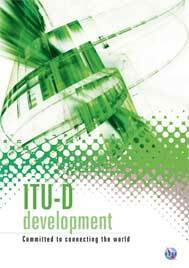 This book, to be launched at WTDC-17, presents an in-depth roadmap for sustainable economic growth by exploiting the recent developments in information and communication technology (ICT) to create an environment that nourishes ICT-centric innovation and generates new job opportunities. 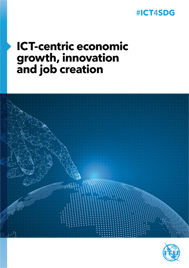 It describes the key elements in the ICT-centric ecosystem for economic growth, innovation and job creation, covering policies, strategies, mechanism and tools that are indispensable in creating and maintaining a healthy, vibrant, adaptable and environmentally friendly setting for sustainable economic growth. It also highlights the roles and responsibilities of different stakeholders in the ICT-centric ecosystem, including governments, industry, academia, investors, entrepreneurs, and citizens. 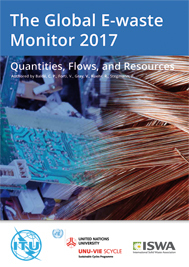 It focusses on discovering and analyzing the multiple interrelations between ICT dynamics and the UN's Sustainable Development Goals (SDGs) established in 2015 as a universal set of goals, targets and indicators that UN Member States will be expected to use to frame their agendas and policies over the next 15 years. 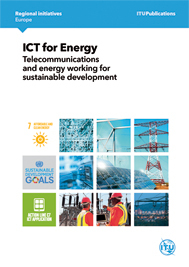 This report increases understanding of the interplay between actors, business models, services, and products of both ICT and energy sectors and sheds light on the importance of policy interventions to optimise resources and build sustainable synergies.